The new Ultra Pressure is an high pressure hose , inner smooth ptfe tube densely packed stainless steel braid to achieve elevated pressure rating for robust applications. 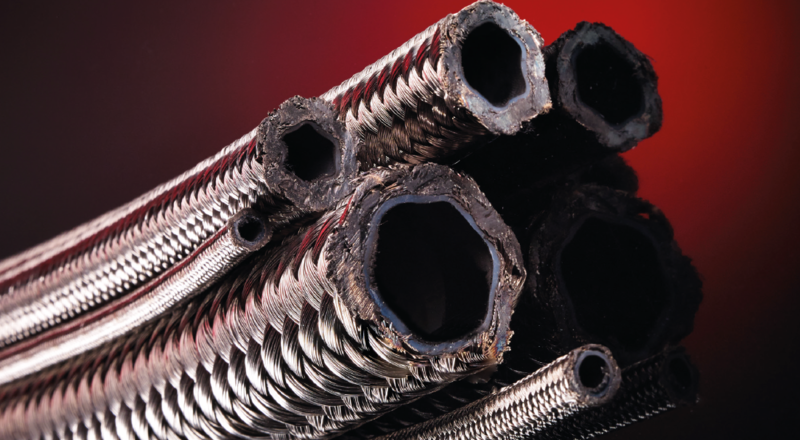 This kind of hose meet the most demanding of applications while providing reliability and safety. This high-pressure hydraulic hose is suitable for petroleum or synthetic hydraulic fluids conduction. It is also used in machine or hydraulic tools and for gas applications.